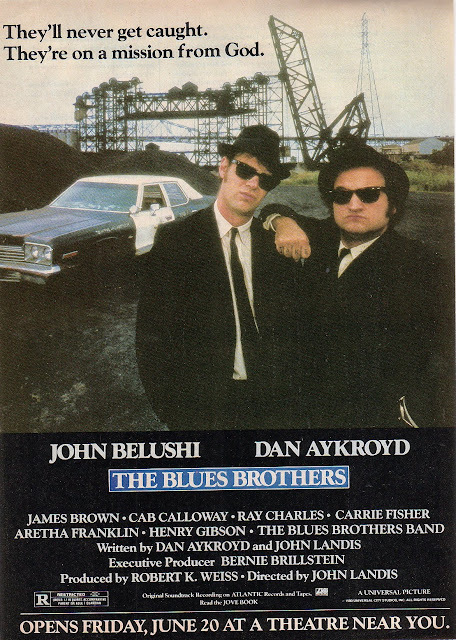 Coming June 20th to a Theatre near you, The Blues Brothers! Rated R, I’m always amused to note because of some profanity. I wonder what rating it would earn in today’s profanity-filled world? In a few words though, best movie EVER and music to die for.